Pamela Galli had the most liked content! (I meant to say hodge podge, not lodge.) Visually your store has no cohension. If your passion is boat textures, focus on things related to boats. Then people might think of your store for their nautical purchases. I agree that your marketplace store needs some work. It is a bit of a hodge lodge -- could you sum up your store in a single sentence? Hard to do when it involves boat textures, donuts, office furniture, etc. Not many corporate forums allow advertising, esp of competitors products. I keep logs in Dropbox, so I can access from any computer anywhere. I don’t have an opinion on that really, but just want to point out that your own notes is a good place to store info such as commands you forget — like how to make the ground disappear or to find what number a face is. 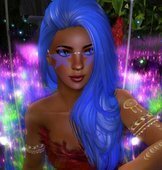 Are these avatars mesh or old style? Are they in our inventories now? Yes, it does show DOB, yay! But not when I am not logged in, right? I want to know if I am talking in email to someone a month old or ten years old (so as to avoid getting screamed at for assuming too much or too little). Also, notes lets me know if I have a history with them. I am guessing that never once did anyone working at LL think that merchants trying to provide fast support might find this info useful while offline. Because if anyone did, they surely would not want to make it harder to do our jobs. Thanks. Better than a slap in the face, but Notes don’t show, or date of birth. Well crap, I use that all the time, for customer support. Does this mean I can’t see profiles on the web when not logged in? LL likes to see where your money is coming from. Like, I provided a months of transaction records for them to verify. In my case had nothing to do with cashout limits, more like money laundering. I don't even know what a zoom level is but it seems to have worked. At LOD level 2, things look normal again -- thanks!